A look at our past. Richard was selected as President of the College of the Scriptures in 2007 and took over the duties of administering and directing the work of the College in 2008. In addition to the administration he also teaches three or four classes each semester. In the past five years the College has experienced revitalization and has started to grow again. The school has continued to focus on its historic mission while initiating new programs to make it more effective in carrying out that mission. Results over the past five years (2007-2012) have shown – College Graduates – ten (10); 80% are currently serving in ministry, 20% are pursuing additional education; 2 New Churches have been established. Richard had previously served as Interim President of the College from 1990 to 1992. 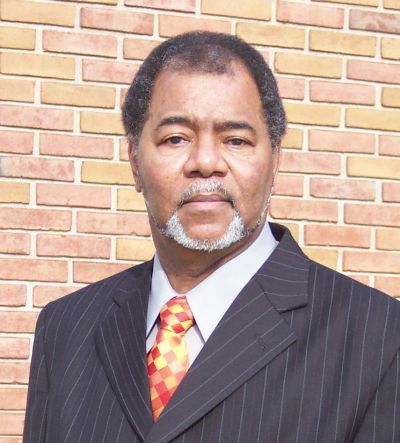 Richard also continues to serve as minister of the Highland Road Church of Christ in Cleveland, Ohio. Richard has served that church since it was formed in 1974. He spends part of his time in Cleveland and part in Louisville commuting back and forth on a regular basis. Responsibilities: Develop, administer and oversee prevention programs in the fields of substance abuse, crime and HIV/AIDS; administer and oversee fiscal procedures of the organization; secure and maintain funding for agency including preparation and oversight of grant proposals; supervise and monitor staff. During Richard’s time as Executive Director the Substance Abuse Initiative became one of the premier Alcohol, Drug, and Crime prevention programs in America receiving recognition from the Substance Abuse and Mental Health Services Administration (SAMHSA), the Community Anti-Drug Coalitions of America (CADCA), the Office of National Drug Control Policy (ONDCP – Executive Office of the President), and both President William Clinton and President George W. Bush. Over a 20-year plus period of time under Richard’s direction SAI brought over $4,000,000 in Federal money to the Greater Cleveland area for Drug and Alcohol Prevention, HIV/AIDS Prevention, and Crime Prevention and provided employment for more than 50 people. The work of SAI continues under the direction of Richard’s daughter, Ayme Jones. Responsibilities: Supervise, train and monitor community organizers and volunteer staff; develop and lead planning and implementation of neighborhood prevention programs to reduce drugs and crime; develop collaboration with other agencies; prepare grant proposals and program reports. Under Richard’s direction SAI employed over 40 Americorps*VISTA workers (Volunteers in Service to America). SAI worked with Schools, Faith Communities, Police, City Departments, Colleges, Doctors, Health Clinics, Community Organizations, and Neighborhood Groups to prevent drug abuse, reduce drug trafficking, reduce crime and violence, and prevent the spread of HIV and AIDS. Working with Cleveland Police, over 1000 drug houses were closed and numerous drug dealers were taken off the street. Responsibilities: Develop and administer neighborhood safety programs; identify and seek additional funding for agency projects; develop collaboration with street clubs and other agencies around safety issues; conduct community organizing in the Southeast Cleveland area. 2000 – Richard received an award from the U.S. Attorney’s Office for to schools and community. 1995-2005 – Richard received numerous awards and citations from Cleveland Police Department for helping to improve community safety. 1999 – Outstanding Coalition Award for SAI presented by CADCA. 1995 – Richard McCain featured in Cleveland Plain Dealer Article, Outstanding Community Leader. 1995 – Richard McCain named Join Together Fellow, Join Together, Boston University. 1994 – Richard McCain received Outstanding Community Leadership Award from Cleveland Office of Federal Bureau of Investigation (FBI). 1993 – SAI received National Exemplary Prevention Program Award from the Center for Substance Abuse Prevention (SAMHSA). The McCains have been Foster Parents to many.